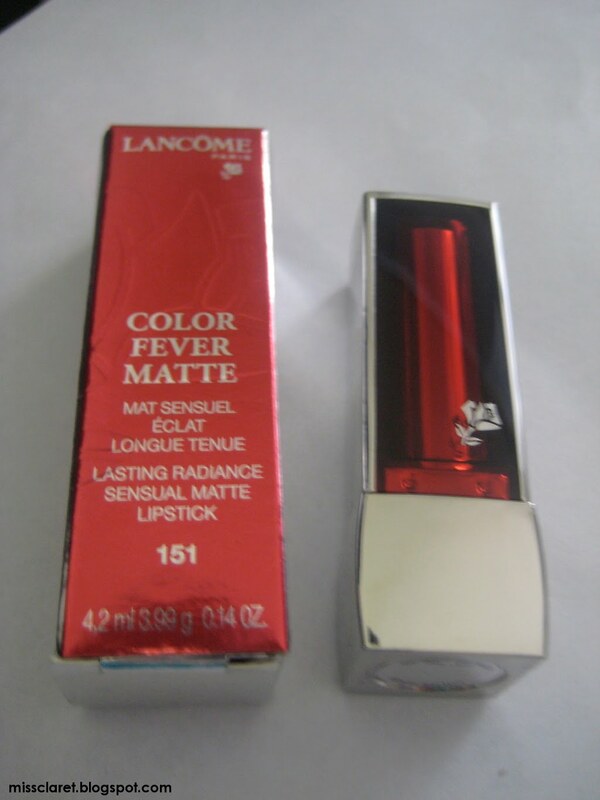 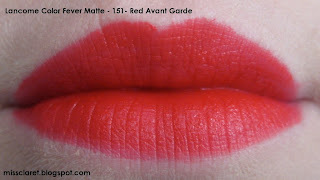 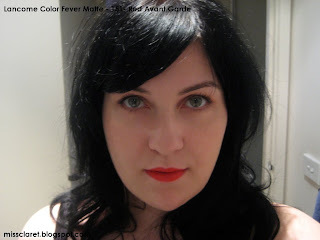 I love Matte lipstick so when I discovered Lancome's Color Fever Matte Lipstick in 151 - Red Avant-Garde I bought it straight away. The texture and pigment are amazing. 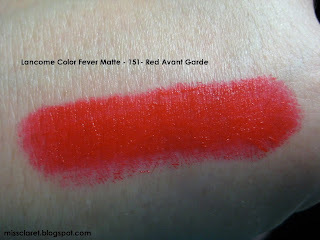 It is lightweight, the colour stays bright and vibrant and it does not bleed. 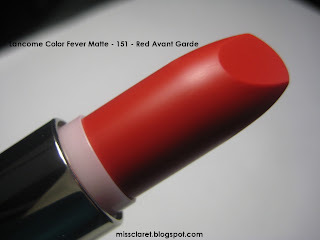 I love love love everything about this stunning lipstick. I was delighted to read on Karla Sugar's website that Lancome have released a new Matte range in the United States - Color Design Matte. I wonder if it will reach the shores of Oz?